From Leave It to Beaver to Desperate Housewives, viewers have been presented with visions of suburbia that are simultaneously pastoral and gothic, nostalgic and repressive. Using still photos and video, Professor Keith Wilhite, Assistant Professor of English, Siena College, will show how popular culture constructs specific images of suburbia, as well as how those images change along with postwar suburban development. In 1948, the famous real estate developer William Levitt quipped, “No man who has a house and a lot can be a Communist. He has too much to do.” In the immediate post-World War II era, to own a suburban home meant you were participating in the patriotic project of democratic nation building. Of course, that project was not without its flaws. Many postwar suburbs were far from democratic when it came to the matter of race, and critics were quick to point out the hypocrisy of this American dream as well as denounce the dreary, isolating nature of suburban living. But as new neighborhoods and subdivisions continued to pop up around the edges of cities, it was clear the residential geography of America was changing. We were becoming a decidedly suburban nation. Not surprisingly, this population shift led filmmakers and TV producers to focus their attention on the “crabgrass frontier.” Their attitudes toward suburbia have ranged from celebratory to satirical to downright cynical. This presentation will explore the ways the suburbs have been depicted in popular culture from the Cold War era to today. 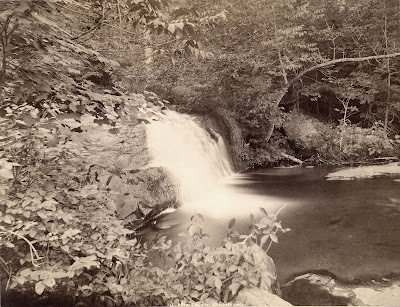 This lecture is presented in conjunction with the exhibit, Queensbury’s Boom: From Country to Suburb, and funded by a grant from the Leo Cox Beach Philanthropic Foundation. The Chapman Museum is located at 348 Glen Street, Glens Falls, NY. For information, call (518) 793-2826. 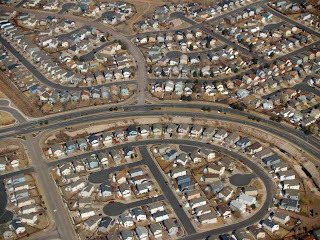 Photo: Suburbia, by David Shankbone (via Wikimedia Commons).